Before you choose which gold penny stocks to buy there’s a lot of homework that each investor should do in order to assess whether a certain gold penny stocks list is legitimate and worth considering. Looking at penny companies’ financial statements, stock performance charts and gathering information from the news reports are a must in order to figure out whether companies are working on improving their cash flow, cutting expenses and working on exploring new precious metals mining sites. 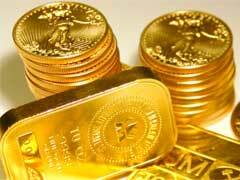 Another gold stock investment advice is to look at the geographical placement of their mines. You are generally better off avoiding gold penny stocks to buy from politically unstable areas and focusing on the areas with more favorable mining environments. Our top 5 gold penny stocks to buy list below presents some good choices for you to consider due to their positive performance in the recent months or years. Again, this is just a suggestion and not an indication that you should buy these particular stocks, always do your own research because gold penny stock market is highly volatile and things change fast, sometimes over a course of one day. 1. Claude Resources (CGR) is involved in exploration and development of gold mining sites, oil and natural gas locations. Generally, investors are advised to focus on gold producing companies rather than on gold developing ones, but Claude Resources Company has shown incredible growth of 108% over the last year with its stocks currently trading at $2.79 per share. 2. Great Basin Gold Ltd. (GBC) shares are currently selling for $2.67 per share. GBC Company is another gold and mineral exploration company that has proven its ability to show stable growth patterns over the last year with its stocks having increased in priced by 51%. The Company boasts with developing of two very promising mining sites like Burnstone Gold and Hollister Development Block. 3. Kimber Resources (KBX) is another good choice to consider due pretty incredible growth of 152% year to date. The Company is working on exploring gold and silver mining sites on the Mexican territories. At this point they have 3 active exploration projects going on in Mexico, namely, Pericones, Monterde and Setago. 4. Minco Gold (MGH) is focused on exploring gold mining in China. Their penny stocks have increased in priced by 110% within the last 12 months. 5. Caldero Resources (CDY) is one of few companies having enjoyed a 56% stock price increase in the last 6 month period. If you are looking for information on gold bullion trading or how to benefit from gold futures, scroll over to find plenty of articles on this topic to satisfy your curiosity.